Although the ripple effect from the Moto G is still being felt, the €200-€300 price bracket still remains the sweet spot for smartphones. The Moto G is not without its flaws and these phones correct them, without breaking the bank. Considering your phone will be with you for at least a couple years, the extra €100 spread out over the period isn't much if it will save you headaches or make you happier. You know, not having to delete files to make room, taking advantage of a better camera or bigger screen - whatever fits your needs. 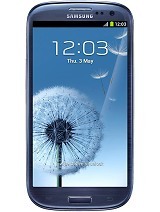 The first such device is the LG Optimus L9 II. It packs a 4.7" 720p screen and a dual-core Krait processor, with expandable storage, NFC and an IR blaster further sweeten the pot - it's essentially a Moto G on steroids with expandable storage and a better camera. It doesn't have the quad-core CPU, but it does have two Krait cores and the NFC and IR-blaster are great extras. The phone also measures 9mm thick, in case the 11.6mm of the Moto G are too much. The Sony Xperia T has a 4.55" 720p screen, but what it has over the Moto G is a 13MP camera with 1080p video recording and expandable 16GB of storage, which could well justify the price premium. The screen viewing angles aren't great and the software updates will not be as quick, but Sony has a decent history of updating its phones. The Sony Xperia C is targeting users after a cheap phone with a large screen and dual-SIM connectivity. The screen has only qHD resolution so it's nothing to rave about, but the priority here is size rather than pixel density. The phone also has a quad-core Cortex-A7 based processor, 8MP/1080p camera, expandable storage and a robust 2,390mAh battery. The price of the Sony Xperia V has dropped significantly since our last guide, and continues to be the cheapest water-resistant phone that's worth your money. It obviously has that over the Samsung Galaxy S4 mini, plus a 13MP still camera, and a 4.3" 720p screen to match the HTC One mini. The expandable storage and LTE are nice touches, too. Oh, and this also is the cheapest phone you'll find in our guide that has LTE connectivity. Speaking of mini's, the Samsung Galaxy S4 mini is one of the more compact smartphone offerings in this segment. It's barely bigger than an iPhone 5s but manages to squeeze a 4.3" screen in. It has qHD resolution so it's not Retina-sharp, but it's a Super AMOLED, which has its share of benefits. The Snapdragon chipset with two Krait cores running at 1.7GHz and 1.5GB of RAM and the Adreno 305 GPU provides plenty of horsepower for the class and the phone runs a fairly recent Android 4.2 version. The 8MP camera with 1080p video capture stacks up very well against similar cameras. The Samsung Galaxy S4 mini is also available in LTE and dual-SIM versions too, but those fetch a higher price. Like the S4 mini, the Samsung Galaxy S III has also got cheaper, and the former flagship offers an enticing package despite officially being two generations old now. It's fairly compact for its 4.8" Super AMOLED screen with 720p resolution and has a very good 8MP/1080p camera. The Exynos chipset with four Cortex-A9 CPU cores and Mali-400 is closer to the quad Cortex-A7 performance than to high-end Snapdragons, but it is still good enough. The Galaxy SIII also got updated to Android 4.3 recently. The 2,100mAh battery may not be huge by today's standards, but you'll get a decent run out of it. The 16GB of expandable storage gives you plenty of room for multimedia. The Huawei Ascend P6 has a stunningly thin 6.2mm body and pleasant metallic back. Design is strong with this one, even if it takes the iPhone obsession a bit too far perhaps. 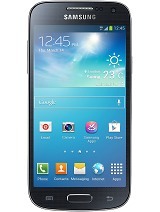 It has a 4.7" 720p screen, Huawei's quad Cortex-A9 chipset and an 8MP camera with 1080p video capture. Despite the slender build, the P6 has a decent 2,000mAh Li-Po battery and even expandable storage. The Huawei Ascend P6 is thin, light and handsome, made of premium materials, plus the custom Emotion UI is highly customizable and iOS-like at its base. Better still, it's not a huge financial commitment to try (it's well below even the iPhone 5C). The €200-€300 bracket also brings the first phablet in this guide. We told you this is the sweet spot. The Huawei Ascend Mate has a big 6.1" screen of 720p resolution, a Huawei-made chipset (quad-core Cortex-A9) and runs Android 4.1, upgradeable to 4.2. The Mate has a huge battery - 4,050mAh - which performed great in our battery test. 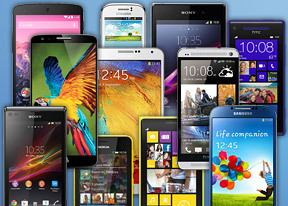 The phablet also packs an 8MP camera with 1080p video capture and 8GB of expandable memory. Phablets are a growing segment that straddles the space between phones and 7" tablets and offer plenty of screen real estate for browsing, document editing and gaming alongside impressive battery life. 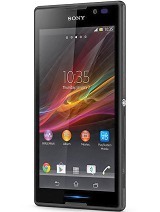 The Sony Xperia SP is very similar to the Optimus L9 II but with better graphics and LTE. Better yet, it's close to the Moto X, but that device is still priced too high internationally for us to recommend it. The 4.6" 720p screen is nice despite its low contrast and the dual-core Krait processor is paired with a powerful Adreno 320 GPU. There are no always-on voice functions, but Sony is already planning the Android 4.4 update and there's a microSD card slot. The Oppo R819 is one of our favorite phones from the up-and-coming maker and one of the few relatively high-end dual-SIM smartphones. It's delightfully thin at 7.3mm and has a good 4.7" 720p screen. The quad-core Cortex-A7 processor proved powerful enough and the 8MP camera with 1080p video capture is nothing to sneeze at. The storage is fixed at 16GB, which is the one major complaint we have about this phone. This category used to hold the Nexus 4, but that's not such a great deal in places with no access to Google's online Play Store for Devices - the Moto G is quite close in terms of specs at a noticeably lower price, plus if you want a great Nexus experience you should save up for a Nexus 5 (check out the next chapter). The LG Optimus G is the former LG flagship and the basis for the Nexus 4. It resolves two of the more common complaints people had with the Nexus 4 by adding 32GB of built-in storage and LTE connectivity and you also get a superior 13MP / 1080p camera. Better yet, thanks to a price drop, the device has climbed down from the higher price segment. You do, however, lose the pure Android version with timely updates. The Optimus G did recently get a 4.2 update and an official 4.4 build is on the way which, combined with its most recent price cut, make it a very compelling option. The recently-released Lumia 1320 is the second phablet in this section, and among Nokia's first offerings with a screen this big. The 6" phablet offers the same LTE connectivity as the company's former flagship, the Lumia 920, but bumps the dual-core CPU up to 1.7GHz and the Adreno GPU is now of the 305 variety. Although the internal storage was reduced, there is now a microSD card slot. Unfortunately, Nokia have installed a standard 5MP shooter capable of 1080p video rather than the PureView-enabled variant found on the 920. Previously, this section ended with the Nokia Lumia 920. Now, thanks to a healthy price drop, we're strongly recommending its Lumia 925 counterpart. The Lumia 925 is essentially a Lumia 1020 at half price, with the exception that you lose the massive 41MP sensor and some quality in the 1080p videos. It still has optical image stabilization though - the cheapest phone that does. Better yet, the Lumia 925 fixes two of the major issues we had with the Lumia 920 - bulkiness and lack of AMOLED display. The design team at Nokia did a great job with the device, as the Lumia 925 shaves off a good amount of weight, and the aluminum unibody feels and handles great. Apart from the camera, the specs of the Lumia 925 and 1020 are virtually identical and you'll get the same software. Plus, the price difference between the two is big enough to buy a real camera - the Lumia 1020 is more than twice the price of the 925.